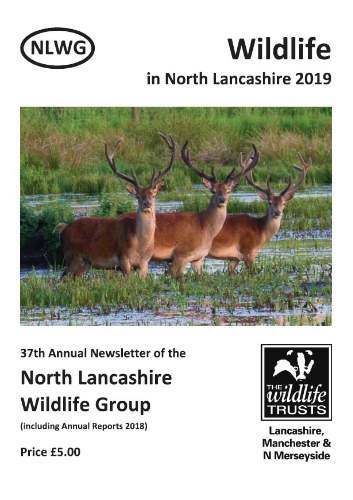 The Group is a local group of the Wildlife Trust for Lancashire, Manchester & N. Merseyside, primarily for members living in the Lancaster City Council District and immediately adjacent areas of Lancashire, South Cumbria and North Yorkshire. Meetings are open to all members of the Wildlife Trust. If you are not already a member, come along to a few meetings and, if you like what we do, join us. The Committee coordinates all the work of the Group and, in particular, arranges meetings,field outings, recording sessions, working parties on local reserves and the production of the annual Newsletter. The Recorders receive and collate records to help conserve interesting sites, to monitor changing numbers and distribution of species and to contribute to national recording schemes.